In competitive gaming, it's crucial to have every edge you can get, so it's important to make sure your game is tweaked to an optimal level. 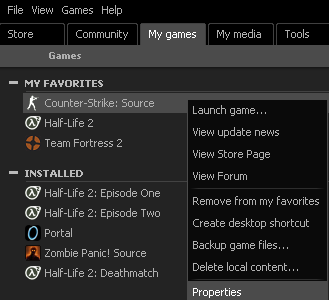 While in Steam, select Counter-Strike Source, then right click "Properties" as shown in the picture below. 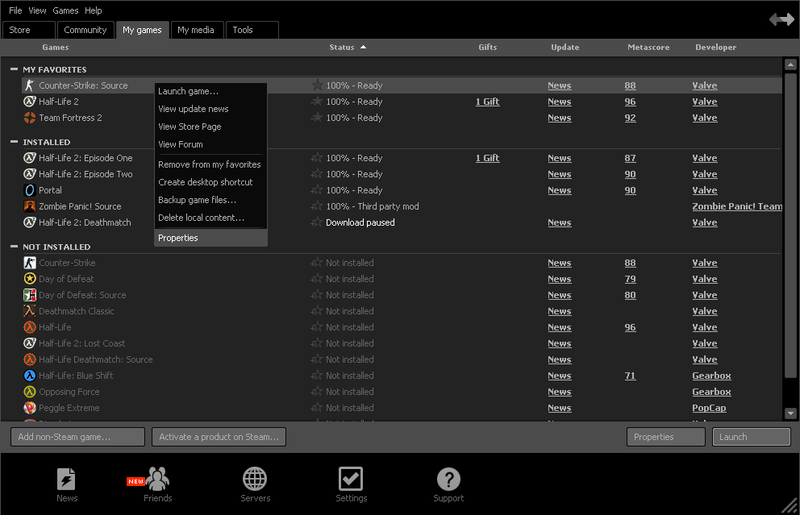 From here you can enter in a variety of launch options for Counter-Strike.. I personally like to use the following settings..
"-w 800 -dxlevel 95 -console -refresh 120 -heapsize 1048576 -high -noforcemaccel -noforcemparms -noipx -nojoy"
-w800 Sets screen resolution to 800x600. I use low resolution setting to get optimal refresh rates. Disregard this setting if you're on a LCD. -high This command is probably the most important. It will force your computer to put Counter-Strike in high cpu priority, giving less resources to background processes, and more for CS. -noforcemaccel This command disables mouse acceleration in CS. Very important if you'd like to build consistent aim. 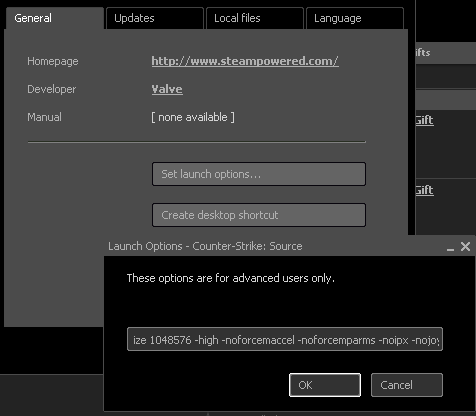 -noforcemparms This command prevents windows from interfering with Counter-Strike and using desktop mouse acceleration settings. -noipx Disables local network settings.